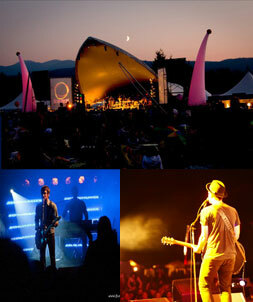 Sound Advice Production Services, provider of the best professional sound and lighting available, serves clients on Vancouver Island from Duncan to Port Alberni to the North Island, including Courtenay, Comox and Campbell River Since 1995, the team of professionals at Sound Advice have created an ever-increasing loyal and satisfied client base. It doesn’t matter the size of the event or the installation, the professionals at Sound Advice treat each and every job with the same high degree of professionalism, expertise and efficiency, before, during and after the job has been completed. Allowing our production specialists to produce your event ensures efficiency and cost effectiveness in addition to overall- professional results. From concept to completion, our team has been producing live events from small venue shows to large, outdoor music festivals for years. You will bring your own unique ideas and we will create a strategy and tailor a production to suit your needs and see it through.